Something missing: for the first time in many years, Freddie was not in Manny’s corner. But as speculation rises as to who Manny may face next, the question is unavoidable: who will be in his corner going forward? Will he continue to train with old friend “Buboy” Fernandez, who got high praise from Pacquiao after last Saturday? Or will Manny return to Roach? The question arises after repeated comments by ESPN talking heads regarding Freddie’s absence, an absence which evidently didn’t make a big difference. 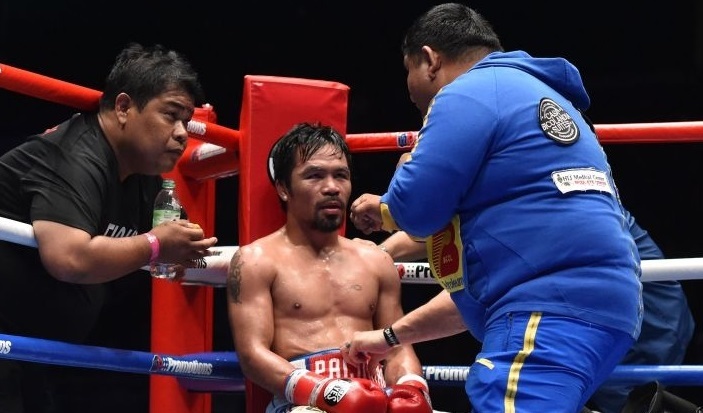 Does the veteran trainer matter anymore to Manny? 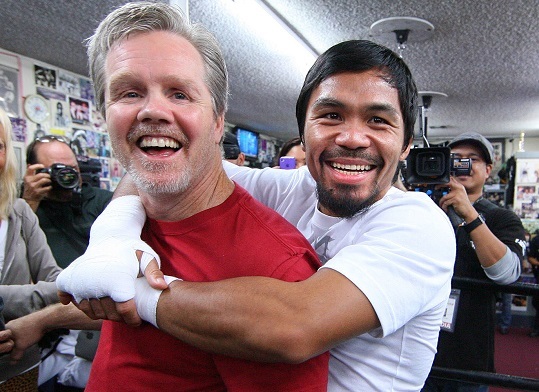 The story of the relationship between Freddie Roach and Manny Pacquiao reads sort of like an LA Boxing fairy tale. 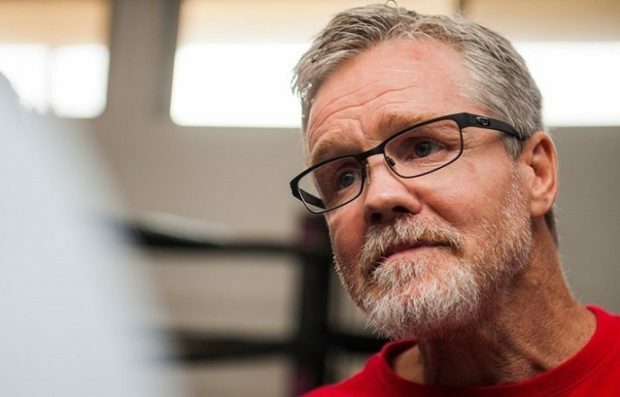 I recall an interview Pacquiao gave back in happier days when he credited Roach with having picked him up off the streets of West Hollywood when he and his brother were in dire straits and barely eating regularly. 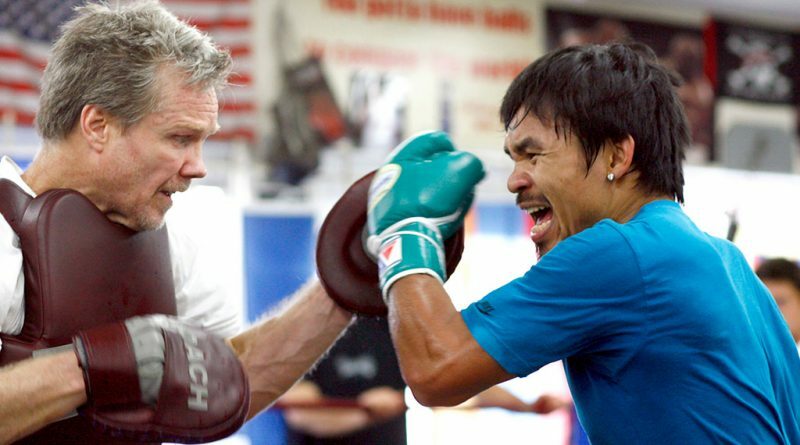 Pacquiao called Roach his “master” and frankly admitted that while training for fights, the boxer can’t be the boss. But it looks like times have changed. Freddie and Manny in happier times. 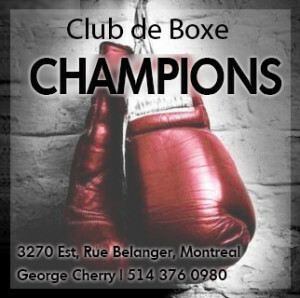 In better days you could see all kinds of celebrities and big name boxers at the Wild Card, people like Bob Dylan, Mickey Rourke or Mark Wahlberg. And parking in the strip mall where the Wild Card is located was, in the club’s heyday, near impossible. 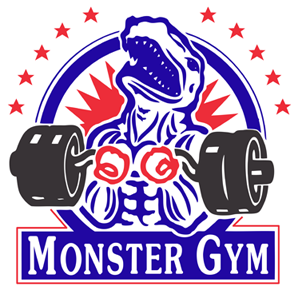 But as Pugmire reports, the gym now is mostly quiet and dark. And so the inevitable but uncomfortable question must be asked: does Freddy Roach still have it? Can he still train, motivate and instill confidence at the elite level? 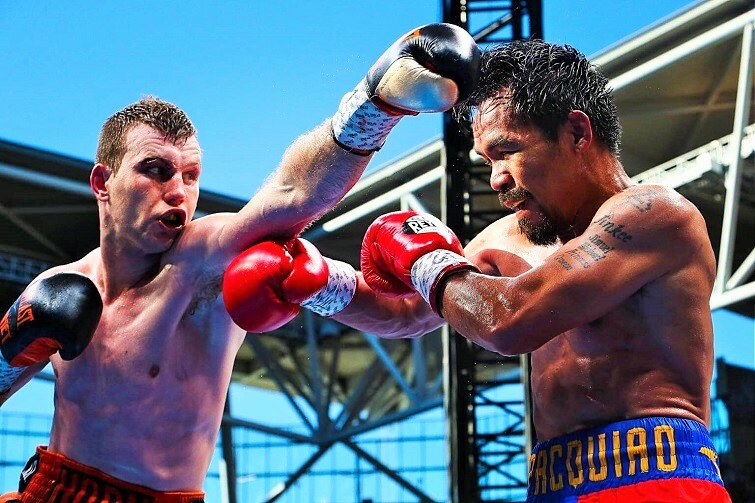 Pugmire suggests Roach’s empire began to crumble a year ago in Australia, right after the Jeff Horn fight, which Pacquiao lost, though many thought the decision highly questionable. Roach suspects the breakup happened because of something he said to Manny in the dressing room after the Horn fight. He told his fighter that trying to be both a senator in the Philippines and a world champion boxer was too difficult and perhaps Manny should consider doing one before the other. Manny hasn’t spoken to Roach since. 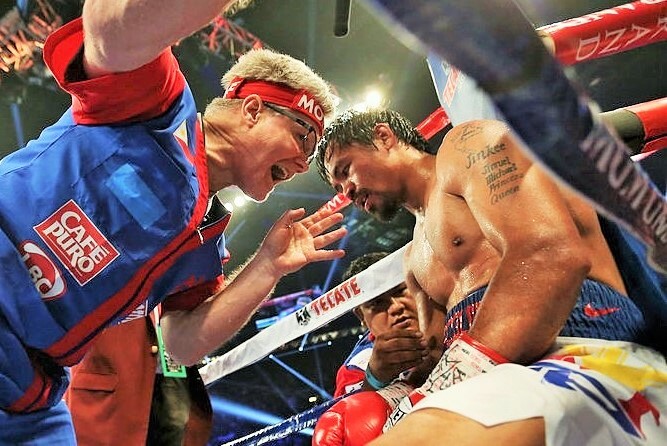 Further, word is that Pacquiao was not only upset with Freddy for expressing his opinion but, according to Bob Arum, “was pissed” at Roach for not vigorously protesting fouls by Horn, such as hitting on the break and various other roughhouse tactics. Manny struggled with Jeff Horn’s questionable tactics. For more than a decade, Roach and Pacquiao were an amazing team. Last fall, the trainer’s work included a farewell loss for Roach’s four-division champion Miguel Cotto, but one bright spot was serving as boxing coach for legendary UFC champ Georges St. Pierre, who dispatched middleweight champion Michael Bisping with a left hook he learned from Freddy. But as things stand now, Roach has but one champion left, WBA world super featherweight titlist Alberto Machado, who isn’t exactly PPV material. Machado (19-0) defends his belt this weekend at the Hard Rock Hotel in Las Vegas. Circumstances outside the ring have been tough for Roach as well. Last year he learned that his mother Barbara Roach, a well-known and beloved fixture at the Wild Card, had pancreatic cancer. She passed away two days before Christmas. Roach appears to carry some guilt in connection with the death as when he learned of his mom’s third bout with cancer he acquiesced to her wishes not to undergo chemotherapy. After two previous battles with the disease, she told Freddy she didn’t want to fight anymore. Freddy agreed with his mom’s wishes, but he told Pugmire that he wished he had counseled his mother to persevere. Freddy left his mother’s bedside to train Manny last year in the Philippines, only to come home after the Horn fight and tend to her in her final days. But at this point a reunion does not appear likely. First of all, Manny is in financial trouble and owes the IRS upwards of $20 million or more. Bob Arum didn’t promote the Matthysse match and it makes sense for Manny to fight outside the US and also to freeze out Arum and Roach, to cut expenses and put more money in his own pocket. Second, if Manny told Pugmire that he and Freddie could possibly work together at a time mysteriously described as “. 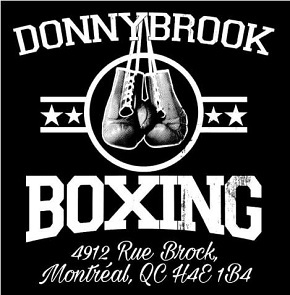 . . in the future if he can still train,” early reports are Manny gives his new training team, headed by Buboy, very high marks. Sometimes messages are communicated indirectly when folks who’ve had a long-time relationship are on the outs but talking publicly about getting back together. Manny is too nice a guy to say outright to the press or into a microphone that Roach is out permanently, but it seems to me that the message he sent to Freddy through Pugmire speaks volumes: “Tell Freddie thank you …” has a tone of finality, as if Manny is moving forward without Roach, but blowing him a kiss in the rearview mirror.